Toyota Lanka, having successfully launched MTI’s Competency Model in Sri Lanka, plans to globally roll out this model to its international network. “Toyota Lanka has always been a pioneer in HR practices and thought leadership within the Toyota international network. 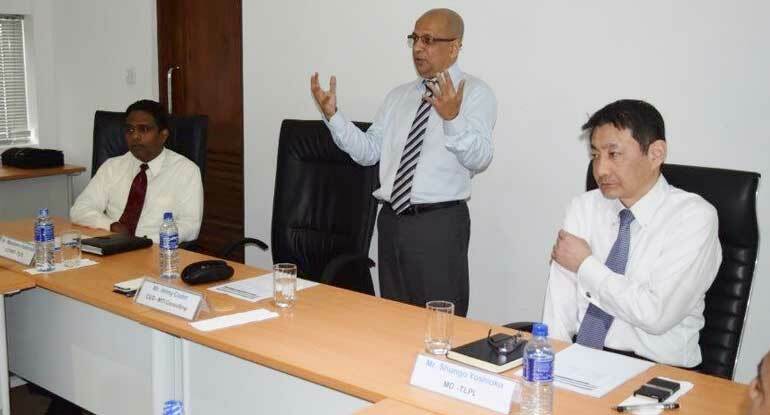 This is yet another example of Toyota’s pioneering HR initiatives, which were developed and fine-tuned over the last 18 months with the active involvement of the entire senior management, covering all functions,” said Toyota Lanka COO/EO Manohara Atukorala. MTI took a hands-on approach in this project from the business environmental scan to listening to the voices of the 4 Cs (Customer, Channel, Competitor and Colleagues). As a result, the pulse of the external and internal stakeholders were understood, bringing a balance blended with a HR Outside-In and Inside-Out perspective to the business when developing the Competency Framework. The final outcome was a framework with competency clusters and sub-competencies identified for the entire organisation. Upon completion of the project, each job role had a competency framework that was highly customised and relevant to perform jobs at the highest order and linking further to the entire DNA of the HR system and processes. “The time MTI spent understanding our business, listening to customers, understanding the market, consumer guests’ expectations and the dynamics of the organisation’s internal and external stakeholders has enabled the development of an internationally recognised breakthrough, the HR competency framework. In doing so, it is a reflection of the quality and practically applicable HR model that can be applied to any industry of any size or shape,” said Demetrious Perera - General Manager, Human Resources, Legal & ICT, Toyota Lanka. “Toyota Lanka has been able to understand quite prudently that the business environment that they operate in is changing rapidly. As a result, the need to identify and nurture competencies in order to remain competitive becomes imperative. With this project, Toyota has taken that initiative to be proactive and ready themselves internally to face the challenges of tomorrow,” said MTI Consulting CEO Hilmy Cader.